9.88 Вт⋅ч, 2600 мА⋅ч литий-ион. Ensured updates. If it were not for the touch-sensitive sides and Android One which ensures operating system updates for two years, the HTC U11 Life would be a mid-range device like many others. Does this make it a very special smartphone? The one drawback on the HTC U11 Life is the price. At $599 it’s still a great deal though, especially if you’re mainly looking at the software side of the equation. The camera isn’t quite up to the Pixel 2 – nor should it be expected to at this price – but the phone may do better at the $549 or even $499 price point. 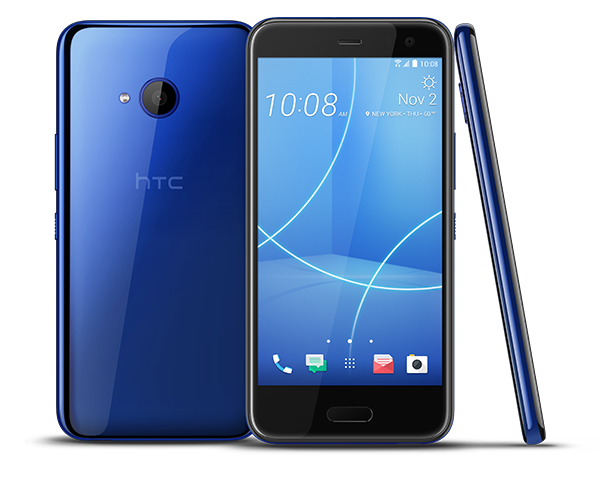 HTC has released the HTC U11 life – and it carries the companies squeeze ‘edge sense’ into a mid-range phone at A$599. Overall, the HTC U11 Life is a solid mid-range phone. Design and specs are largely decent for the price – especially getting 64GB of storage and 4GB of RAM as standard. Meanwhile Android One keeps software clean and simple if that's what you're after. This, and Edge Sense, are the main reasons to buy this phone over rivals but there's strong competition. HTC U11 Life is a great mid-range smartphone compared to others in its price bracket, with a noteworthy camera and processing experience. Android One is a decent attempt to make the world more secure, but phones are going to need to offer value and more sizzle if buyers are lured away from those better value alternatives that never get updated. And Huawei, I'm looking at you. The U11 Life is by no means a bad phone, and it’s a shame that a few software oddities completely ruin the experience. In every other way, it’s a decent piece of kit. The HTC U11 Life combines some of the best features of the U11 and Android One series. It has a standout design, unmatched squeeze gestures and great battery life on top of a great screen and reasonably good performance. Not least, the two cameras, front and rear, are well above average too. And so, there you have it – the HTC U11 Life. It should be obvious that this package is not going to please the power users or the spec hungry, but I can personally tell you that using this as my daily hasn’t brought any major problems. My scores are just a bit below Kris Carlon’s review of the Android One edition, which is mainly due to my more critical view of the camera and the fact that HTC Sense, while spartan, is not as smooth or snappy as the ultra-minimalistic Android One software. But no matter which one you can pick (if you even have the choice), the main story here is the phone’s value for the money. HTC has simply made a midrange version of their flagship device that shouldn’t actually make anyone feel like they’re missing out. It’s not a bad phone, per se. You just find something much better while saving money or spending a little bit more. So, to be clear, the U11 Life isn’t worth your attention. If you’re loyal to HTC, go for the high-end U11. The HTC U11 Life is a smart trimming down of the HTC U11 that gets you most of the highlights at a lower price, but other phones offer more for a similar amount of money. Overall, the HTC U11 Life is a logical mid-level reflection of its already very capable flagship bigger brother. It's more attractive than some of its nearest competition, such as the Moto X4, while offering dust and water-resistance that few others can at this price point. An affordable way to get stock Android 8, with a capable camera and great design to boot - although battery life could be better. As much as I know the U11 Life is far from the perfect mid-range phone for everyone, I’ve thoroughly enjoyed my time with it and will be sad to see it go. I opened this review with a reference to the Pixel 2, and I’ll end it with a reference to a device I also came to love, warts and all: the Nexus 5. In some ways the U11 Life feels like the Nexus 5: it has its flaws, but if you’re willing to accept them, you’re in for a real treat. The HTC U11 Life does a respectable job of emulating its flagship forerunner, making good on the promise of hitting the majority of the standard U11’s key selling points whilst also sporting some obvious cutbacks that don't undermine the overall experience on offer. The HTC U11 life is a good-looking Android phone that is very light, compact and has the squeeze action, just like the new Google Pixel 2 high-end phone. These are all excellent reasons to consider or buy one — and don’t forget the excellent selfie photo quality. In the few days that I’ve used the HTC U11 Life as my daily driver thus far, I’ve been a bit surprised at how easily it has handled my everyday tasks and usage. It would be easy to just dismiss it as a lesser version of a sought-after flagship phone. But real world experience with the U11 Life has me thinking a bit harder. And for that reason, we will bring you our full review in the coming days, after we assess the question: Can a near-flagship experience be achieved in a phone that is $349? Stay tuned to find out here at Android Authority and let us know what you think of the HTC U11 Life and the other new phone in the series, the U11 Plus! For £349, the HTC U11 Life seems like a decent little phone. It’s made even more interesting by the stock Android software and promise of future updates. Our first impressions of the HTC U11 Life are pretty good. This is effectively a U11 Mini with features like Edge Sense and waterproofing in a smaller and cheaper design. Android One is also a lure if you like things clean and simple. Check back for a full review soon. But if your network is compliant and you’re on a relatively tight budget, the U11 Life is definitely worthy of your consideration. HTC has done a nice job of bringing premium phone features to a mid-range handset, and it’s a smart direction for the company. Assuming Google is going to focus all of HTC’s top-tier innovation on future Pixels, phones like the U11 Life could actually prove more successful for the HTC brand than its recent flagships. The unlocked U11 Life takes its design cues and many features from HTC's flagship phone and offers them for a midrange price. The HTC U11 Life brings together a solid set of features at an accessible price point, making it a highly attractive mid-range handset - but is it enough? HTC's U11 Life is a decent midrange phone, but the Moto G5 Plus shoots better photos for a little less. To be honest, there is very little compromise in using the HTC U11 Life compared to the HTC U11 and I didn't really miss the U11 with the U11 Life in hand. Most of the time we see mid-rangers give up NFC, provide average cameras, or reduce the overall experience in some manner. I don't see that in the HTC U11 Life and it will be interesting to see if it appeals to the masses. You're getting a solid screen, waterproofing, better audio out of the box and one solid camera (if not quite Pixel-great). It seems that HTC got quite a lot right. Like so many other phones at the sub-$400 mark, there's a lot to like in the U11 Life. The screen is sublime, the camera is strong and the performance is dependable. To sweeten the deal, the U11 Life even comes with a free pair of USB-C headphones in the box. Our first impression of the U11 life wasn't great: the phone felt too light and plasticky, and it seemed to be trying too hard to convey the gravitas of its flagship cousin. But performance didn't leave us with any complaints, battery life was totally adequate, and the camera pulled off some nice shots despite having meager-sounding hardware. The HTC U11 Life is interesting in a number of ways. Its position as an Android One device makes it rather unique and there's certainly going to be some appeal among those looking for a pure Android handset. It's likely to be compared to the cheaper Moto G5 Plus, but there's enough here to make this phone appealing. HTC executed pretty well on its goal of brining the U11 design down to a much lower price point, and also kept many of the hardware features that you don't typically see down here. It's an attractive phone with a nice spec sheet, good screen and an average pair of cameras to round it out. So don’t think of the U11 Life as a cheap phone. Think of it as a new class of low-priced feature phones. Instead, it’s a phone that ticks all the necessary boxes: the trifecta of price, design, and specification that HTC tells me was its focus from the start. T-Mobile’s $300 sticker makes a strongly compelling case, and I prefer the U11 life to Motorola’s Moto X4. That may not make for the most exciting handset, but it’s refreshing in the midrange all the same. Test, recenzja, opinia – HTC U11 Life – Oto klasa średniopółkowego i superszybkiego smartfonu z Android One! Recenzja HTC U11 Life. Piękność z czystym Androidem. Qualcomm Adreno 508: Мобильная графика встроенная в Snapdragon 630 Эти графические чипы позволяют играть только в старые и не очень требовательные игры. Графические ядра с разделяемой памятью позволяют достичь более длительного времени работы от батареи и меньшего уровня нагрева. Офисные задачи, интернет, обработка (небольших) изображений и просмотр (не HD) видео для них не составляет особого труда.